Sunshine Burgers aren’t just made with organic whole food ingredients, they are also flavorful and delicious as some of our favorite bloggers can attest! 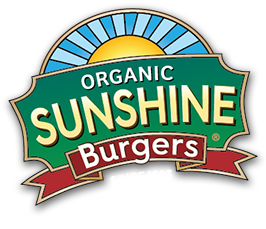 Check these recent reviews to see how bloggers are incorporating Sunshine Burgers into their active lifestyles. Valerie from LIVEFITJourney.com lives a family and fitness-focused lifestyle, in which our Black Bean South West burger fits perfectly: “This was my first time having a pre-packaged black bean burger and I was quite surprised by how good they were. They were very flavorful with a little spicy kick and a soft texture.” Valerie created a simple, flavorful and healthy recipe for Summer Black Bean Southwest Burger Salad, which features a medley of greens, salsa and our delicious burgers. Christina’s blog Body Rebooted features nutritious recipes and tips conducive to a healthy lifestyle. She sampled our South West Black Bean burgers and loved the flavor: “These organic veggie burgers are gluten-free, soy-free, vegan, non-GMO and are already cooked & browned so all you have to do is reheat and enjoy. Don’t let the fact that they are veggie burgers scare you – these burgers have incredible flavor from garden herb to loco chipotle to shiitake mushroom.” Check out her recipe for South West Tostadas – a quick and simple recipe featuring organic refried beans, arugula, avocados and fresh, summer veggies. The Nutrition Facts for the Garden Herb Sunshine Burger indicates 14 grams of fat per burger. Does most, or all, of the 14 grams come from the sunflower seed?. If not, what is/are the other sources of fat? Thank you for your question regarding the fat content of our Garden Herb Burger. Most of the fat is derived from the raw sunflower kernels we grind fresh for each batch of Sunshine Burgers. Brown rice also contributes some fat (for reference, according to Lundberg’s nutrition facts, one serving of brown rice has 1.5 grams of fat—about 7% of total calories in brown rice).